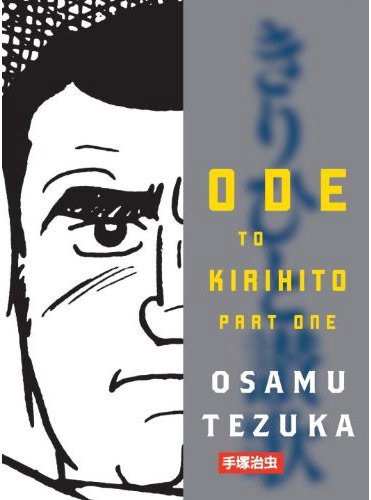 Vertical is releasing Osamu Tezuka’s Ode to Kirihito in two paperback volumes, so I thought I’d take the arrival to revisit my review of the book. This column was originally published on Nov. 6, 2006, at Comic World News. Any updated thoughts will be in italics. What is it about Osamu Tezuka? How is it that his works don’t seem to age? How can he embody so many graphic idioms, from four-panel pratfalls to grisly realism, and have them cohere into such an effective and singular style? And how can he execute a theme like “What does it mean to be human?”, so potentially earnest that typing it makes me cringe, and turn it into something sprawling and gripping? Ultimately, I think it’s passion. There’s no arguing that manga wouldn’t be what it is today had it not been for his desire to elevate comics beyond an amusement for children into a medium that could offer something for every audience. But focusing on his impact as an industry figure, substantial as it is, can tend to obscure his accomplishments as a manga-ka. It’s Tezuka’s first effort in the gekiga category of comics for adults, summarized here by comics scholar Paul Gravett. Part medical thriller, it’s mostly a meditation on human weakness – cruelty, greed, racism, destructive ambition, hypocrisy. The disease that drives the action, Monmow, causes humans to physically degenerate into dog-like creatures, but Tezuka finds humanity’s moral degeneration much more alarming. 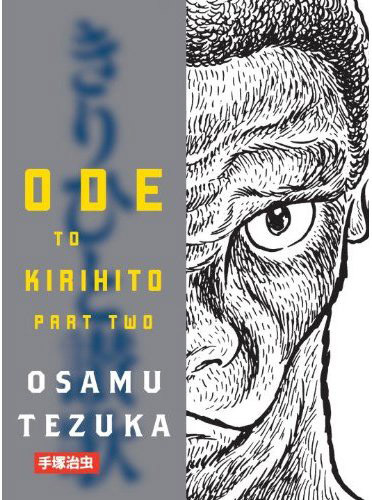 Tezuka’s protagonist, young and moral physician Kirihito Osanai, is searching for the disease’s origins under the guidance of politically ambitious Dr. Tatsugaura. Osanai’s supervisor believes Monmow is contagious, perhaps viral; he also believes his research will be a ticket to power and influence in the medical community. Osanai suspects Monmow has an environmental cause, and his forthright efforts to prove this put him in terrible danger. They also lead him on a world tour of some of the worst human failings. It begins in the remote village of a Monmow patient, where Osanai contracts the disease himself. From there, it’s virtually impossible to succinctly describe what the good doctor endures in his quest for truth, vindication, and revenge. That’s partly because the book is packed with event, but it’s also due to a reluctance to spoil anything. Osanai goes from peril to peril, tragedy to tragedy, fending off the impulse to succumb to despair with varying degrees of success. As he does so, colleague Dr. Urabe endures an equally dangerous journey, though it’s largely spiritual. Urabe faces external and internal corruption; his nobler impulses are often overwhelmed by an unexpected capacity for brutality. [Urabe is] capable of compassion, as with a nun suffering from Monmow. He recognizes Tatsugaura’s myriad failures of character and suspects the lengths his superior will go to in service of his ambition. But he’s selfish and weak in big and small ways, and each forward step he makes toward morality and responsibility is matched or surpassed by a backwards one. He’s a fascinating character, even more than Osanai, because there’s no certainty. While Osanai isn’t exactly a plaster saint, he’s got a moral core. Urabe is unmoored. Ultimately, I think it all does come down to passion. Tezuka not only loved the potential of graphic storytelling, he clearly loved the act of it, and that’s so evident here. I may know what to expect from Tezuka in simple terms – the style, the worldview, the scope – but I’m constantly surprised by the way they manifest themselves. You can view a lengthy preview of Ode to Kirihito at Vertical’s listing page. This entry was posted on Monday, March 29th, 2010 at 6:40 pm and is filed under Flipped, From the stack, Vertical. You can follow any responses to this entry through the RSS 2.0 feed. Both comments and pings are currently closed.